Personally, I’ve spent more than 10 years searching for a career that I really felt passionately about and have done a lot of different jobs along the way. Now, I’m excited to have finally found a career that I love. 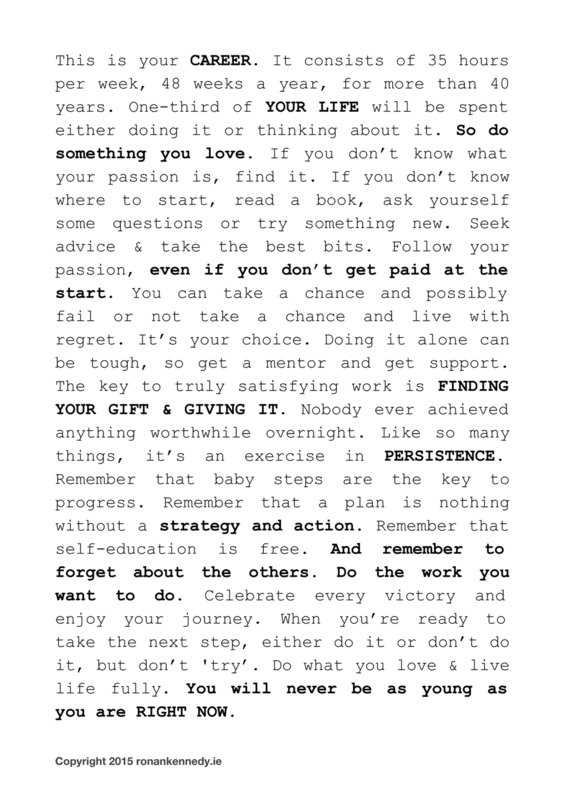 So I wanted to share this with you in the hope that it will inspire, excite and motivate you to follow your passion. If you know someone who isn’t sure what to do in their career, feel free to share it with them.